During their time in the U.S. military, Legionnaires served all over the world to ensure their fellow citizens’ safety. They have witnessed poverty, political instability, disease and war in other countries. They have a unique perspective on the threat that open borders present, a basis for The American Legion’s stance on illegal immigration. The Legion opposes illegal immigration and amnesty for illegal aliens, but fully supports opportunities for legal immigration. With an estimated 11.6 million illegal immigrants living in the United States, the problem is evident. The Legion recognizes mass deportation as an unrealistic option. Instead, it supports a strategy of attrition through the enforcement of new and existing immigration laws, in combination with strong border security. 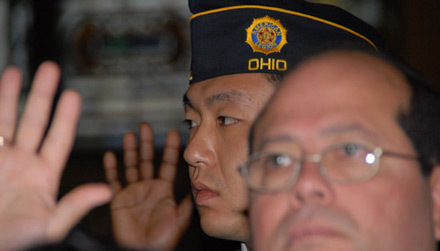 The American Legion believes in and endorses naturalization. Immigration should be regulated, so immigrants can be readily absorbed and easily acquainted with society. Providing assistance and instruction to those following the legal path to citizenship has been a longstanding and proud Legion tradition almost since the organization’s founding. Many posts, districts and departments have hosted naturalization orientation sessions to teach proficiency in English and lessons in U.S. history and civics. The American Legion continues to encourage and promote these worthwhile efforts.